Gerry operates Golden Acres Charolais in Westerlo, NY with his wife Laura and son Jack! Animal care is of top importance to the Boones at every step of the beef lifecycle. Good thing Laura is a veterinarian! Hi, I'm Gerry Boone! I have been farming for 50 years! I love being a cattle producer because I get to be my own boss and it's an amazing way of life! I love being outdoors and watching my calves and my crops grow. I have a labor team of ONE. I fully operate Golden Acres myself, although Laura helps when she is able as well as my son when he is home from college. I have a unique operation because I have both a grass finished and grain finished product thus incorporating a feedlot aspect into my farm. Our farm is powered by solar energy and we work hard to conserve our natural resources. We work with NRCS (Natural Resource Conservation Services) to monitor our crops and creeks. It is extremely important to us that we can keep our farm land productive and out of development. Despite hard days that might include broken equipment or battling mother nature I enjoy going to work everyday! I love raising animals and watching my animals grow and thrive based on the decisions I make. From start to finish animals are raised on this farm to be marketed directly to consumers through either freezer trade, farmers' markets, or at local restaurants. 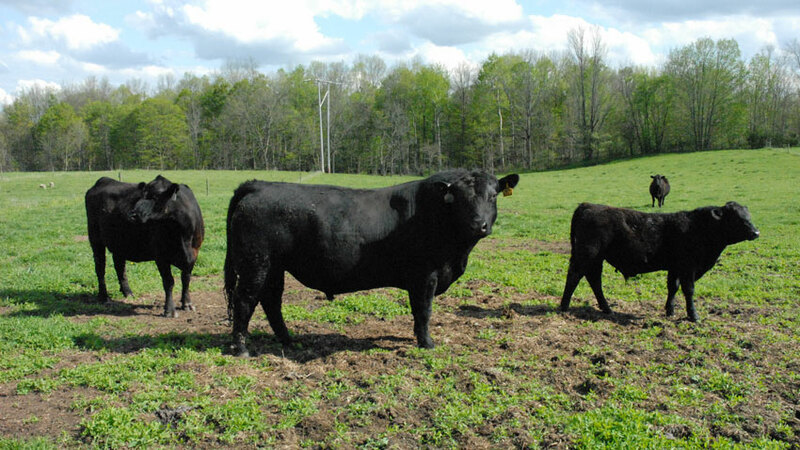 Farms direct marketing incorporate all steps in the beef life cycle including cow/calf, backgrounding, and finishing. 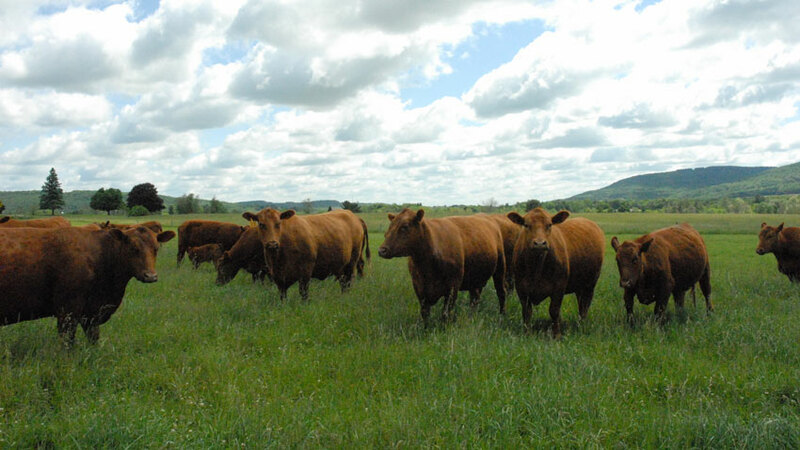 Erin Hull and Lucky 13 raise all-natural Red Angus beef in Tully, New York. Erin and her farm practice sustainable farming and market their beef to local and statewide customers.